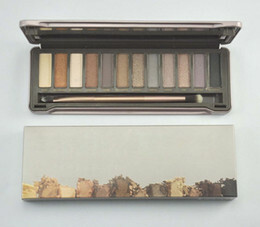 This is a sponsored post in collaboration with Mirum Shopper. All opinions are my own. When was the last time that you enjoyed date night with your significant other? I can't remember the last time we had one. With life as busy as it is date night gets put on the back burner and it can literally take weeks for us to have an evening free where we can actually plan for an honest to goodness night out. Not good enough when you're trying to maintain a solid relationship. 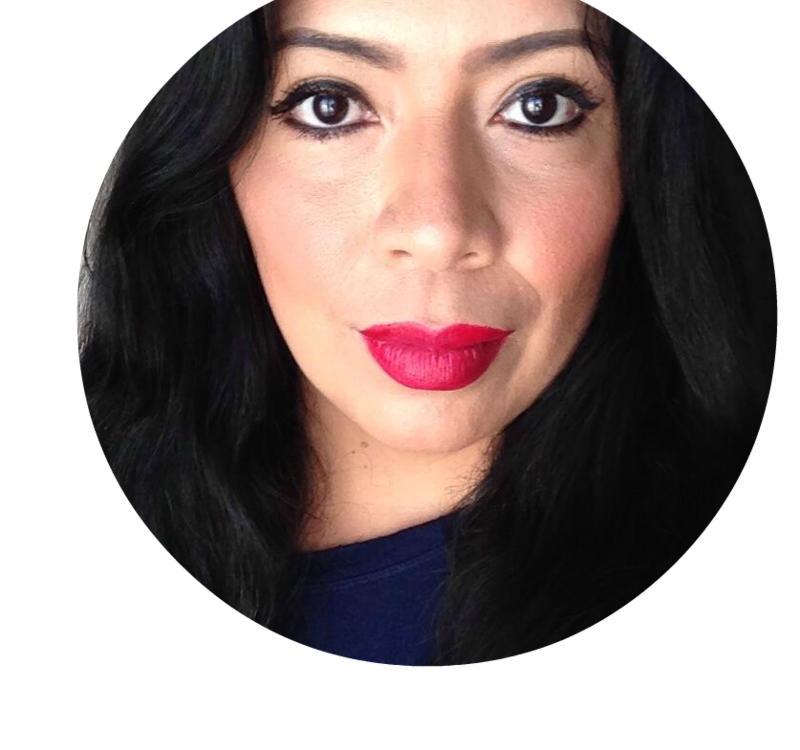 That's why today I am excited to share an idea that will make that elusive extra time with your partner happen this Valentine's Day, without even having to leave home. We can't all get a night off from kids and responsibilities, but we all have to eat dinner and a great way to get extra time with our partner is to plan a dinner for two. 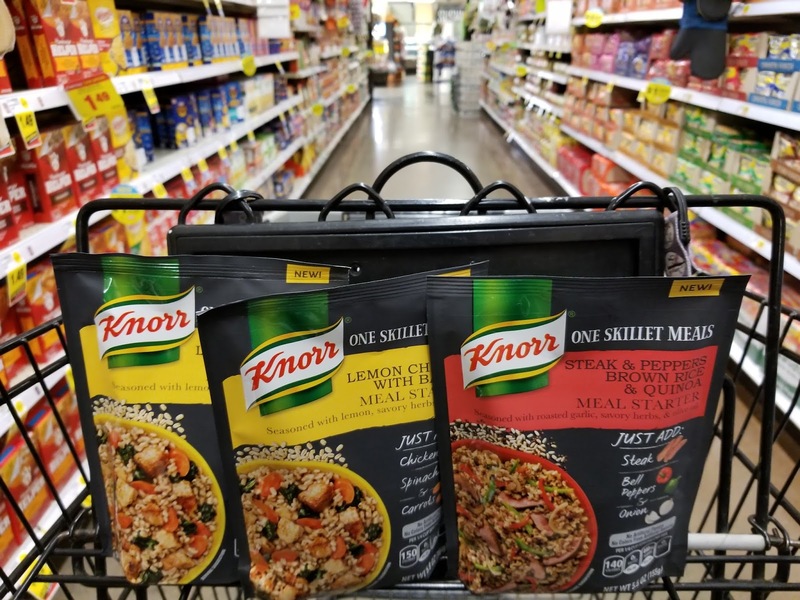 And don't worry - this isn't going to make dinner even harder to plan and cook because we will be preparing the NEW Knorr One Skillet Meals which are so easy to prepare. Simply feed the kids first and get them off to bed and you know have the time to cook a great meal together as a couple. 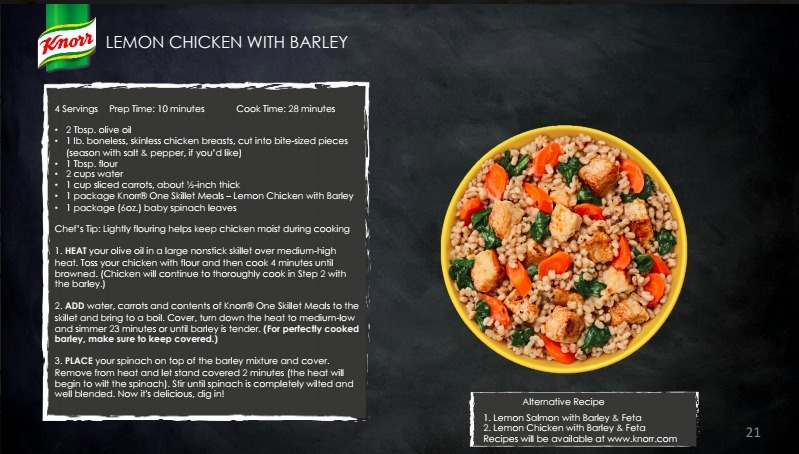 Let me show you how easy it is to shop and cook for the few ingredients you will need to enjoy a delicious Lemon Chicken with Barley dinner for two. Find Knorr One Skillet Meals at Ralph's by the Knorr Sides products, not by the spices. I picked up a few flavors to try out but immediately knew I wanted to try the Lemon Chicken. The only other ingredients I needed to pick up for the recipe were: chicken breast, carrots and spinach. A range of delicious meal starters featuring grains like barley, farro, quinoa & whole couscous. Just add Chicken, Beef or even Shrimp and fresh vegetables to create a satisfying main dish that is full of flavor. Perfectly seasoned with herbs and spices, with no artificial flavors or colors from artificial sources, Knorr helps you turn some wholesome new ingredients into tasty meals you can feel good about eating. 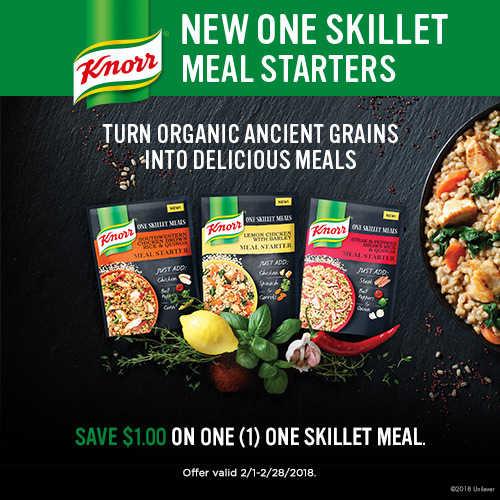 Knorr One Skillet Meals contain only responsibly sourced, organic grains and whole wheat couscous. Save $1.00 on one (1) One Skillet Meal via the general gallery online on Kroger.com. Offer is valid from 2/1-2/28. My favorite part about these meal starter packets is that it really is easy to create a delicious from-scratch meal, without a lot of grunt work. I am not someone who is great at cooking nor do I love being in the kitchen for hours - I prefer my meals to be quick and easy to make. But Knorr One Skillet Meals deliver a beautiful and declicious recipe that will make you both feel like you slaved at the stove for hours - when all you actually had to do was cut carrots, cube some chicken and put all of the ingredients together in a skillet. Now let's get the meal started and done so you can see how easy it is to prepare! Each packet of Knorr One Skillet Meals has the recipe and instructions clearly described on the packet so there is no guess work. As you can see you will need hours to prepare this meal, that's why it's the perfect Valentine's Day dinner idea or date-night-in dinner option. Because it's so easy to prepare and cook one of these meals - you can turn on some music, pour some wine and just enjoy that extra time together as a couple, while Knorr does most of the work for you. This is how easy it is to enjoy a delicious dinner for that you made together from scratch. 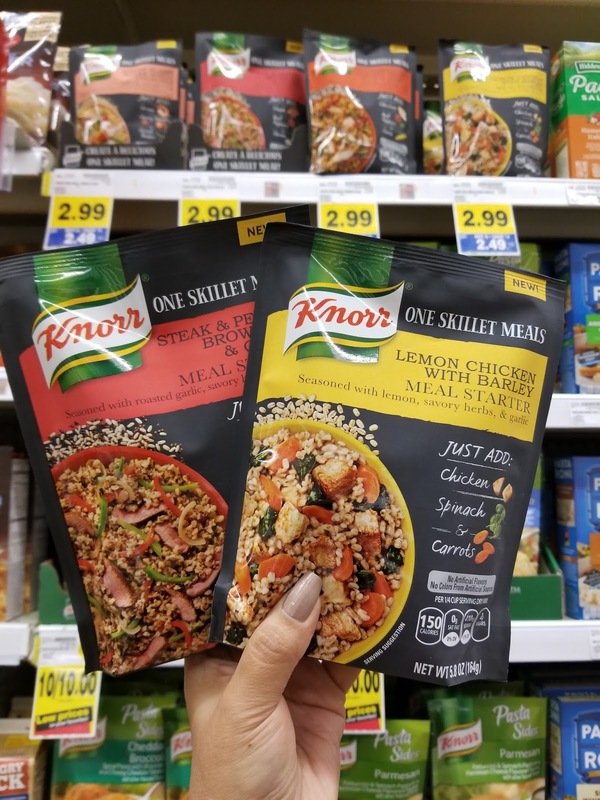 Find NEW Knorr One Skillet Meals at Ralph's and take advantage of the Save $1.00 on one (1) One Skillet Meal promotion to save some cash.